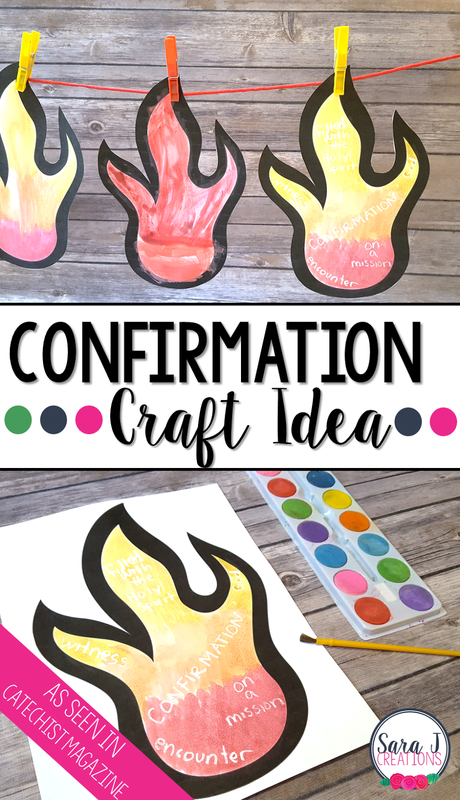 For the past year or so, I've been writing articles for Catechist magazine. 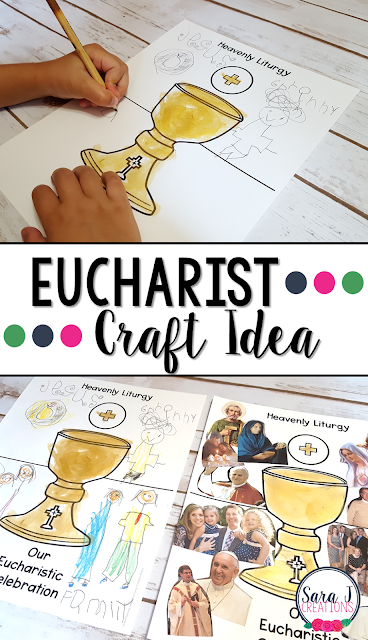 This past year I wrote a series of crafts, one for each of the Seven Sacraments of the Catholic Church. I've loved reading the magazine each month and have gotten some great ideas to use when I teach in the after school program at our church. 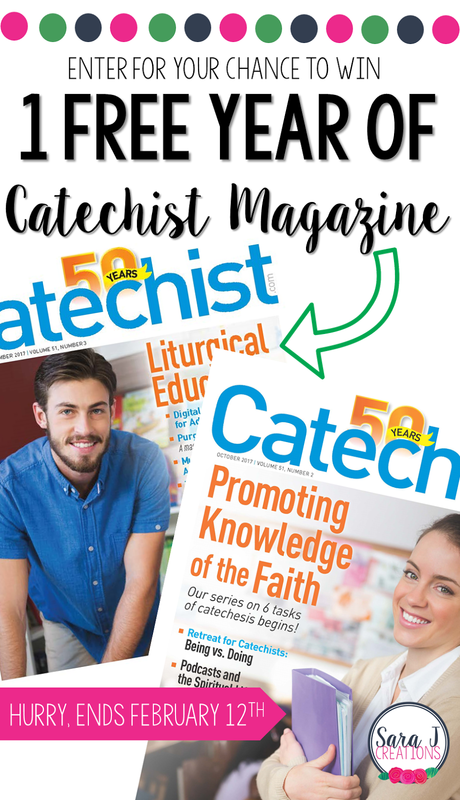 I've teamed up with Catechist magazine, to give away a one year subscription to the magazine to one of my lucky readers! 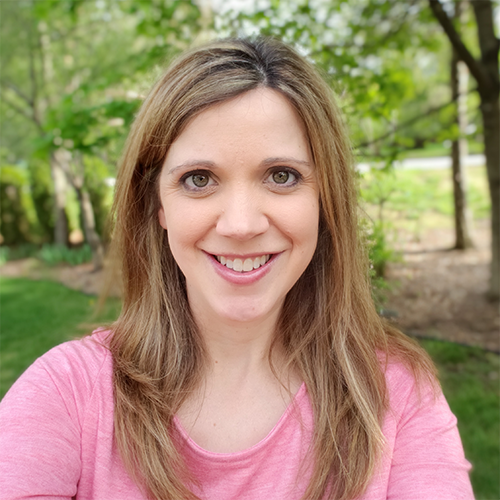 The magazine does a great job of touching on a variety of grade levels so whether you teach little ones, or middle schoolers or even adults, there is something for everyone. Each month, you can find lessons that correspond to the Sunday Gospel, craft ideas, saint ideas, ideas for prayers, books and blogs to give you ideas and more. The focus of the magazine for this school year is the six tasks of catechesis, so each edition has articles to educate, inform and offer ideas about that focus. I like that the magazine is a balance of teaching tips and strategies along with educating the reader about the faith and strengthening their own knowledge base. 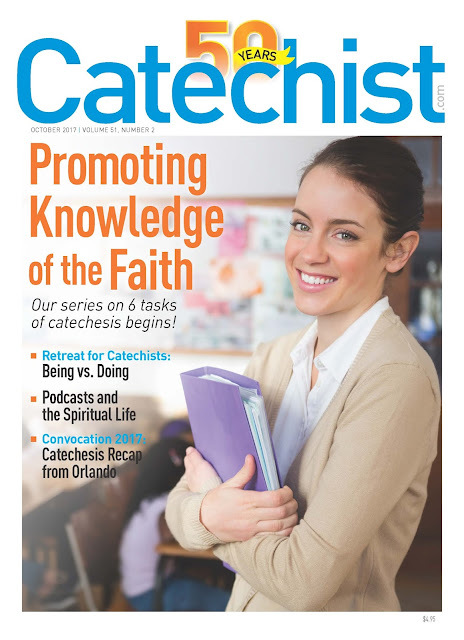 Do you want to enter to win a free subscription to Catechist Magazine for a year? If you are already a subscriber to my Catholic newsletter, then you get a free entry, just for being signed up already. But there are plenty of other ways to enter including joining my Catholic newsletter, tweeting about the giveaway, and sharing with other catechists through Pinterest, Instagram, Facebook, email or word of mouth. Several of these options you can enter daily for more chances to win. The contest will end on February 12, 2018. The winner will be emailed and will also be announced in my Catholic newsletter on the 13th.